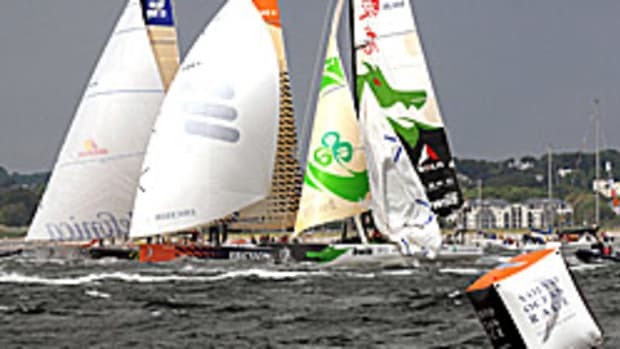 The fleet of the Volvo Ocean Race was uniformly battered by deteriorating conditions in the China Sea on the leg from Singapore to Qindao, China. The British-backed Ericsson 3 yacht had to give up its second-place position and head for shore when it began taking on water. Skipper Ken Read of the U.S.-based Puma team had his finger crushed in a titanium block. Click here for more reports.